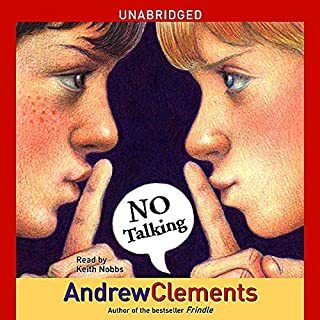 What would happen if the noisiest, most talkative class of 5th graders in history dared each other not to talk for 48 hours? 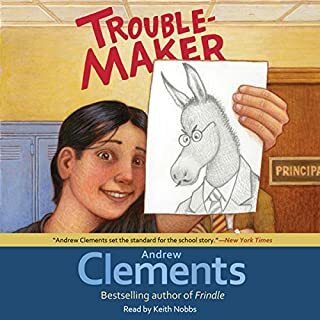 This is the premise Andrew Clements explores in one of his most compelling stories yet. Greg had started looking around the cafeteria, and everywhere he looked, he saw quarters. He saw kids trading quarters for ice-cream sandwiches and cupcakes and cookies at the dessert table. There were quarters all over the place, buckets of them. At that moment, Greg’s view of school changed completely and forever. School had suddenly become the most interesting place on the planet. Because young Greg Kenton had decided that school would be an excellent place to make his fortune. He really just likes to liven things up at school -- and he's always had plenty of great ideas. 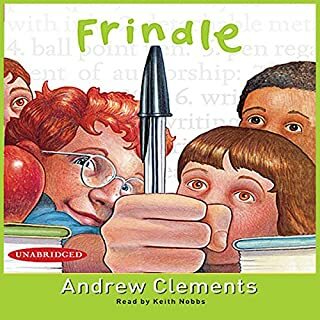 When Nick learns some interesting information about how words are created, suddenly he's got the inspiration for his best plan ever: the frindle. Who says a pen has to be called a pen? Why not call it a frindle? Things begin innocently enough as Nick gets his friends to use the new word. Then other people in town start saying frindle. Soon the school is in an uproar, and Nick has become a local hero. Fifth grader Nora Rose Rowley is really a genius. It’s true. But don’t tell anyone. Nora always gets average grades so she can forgo the pressure-cooker gifted program or Brainiac Academy. 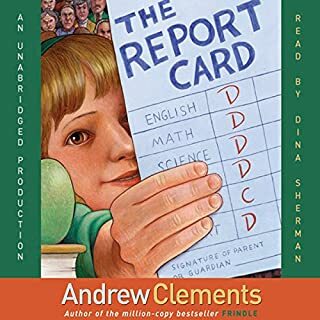 But when Nora gets one hundred percent fed up over testing and the fuss everyone makes about grades, she brings home a terrible report card just to prove a point.Pretty soon her teachers, parents, and the principal are launching a massive effort to find out what’s wrong. Can Nora convince them that tests alone are a stupid way to measure intelligence? The bad news is that Cara Landry is the new kid at Denton Elementary School. The worse news is that her teacher, Mr. Larson, would rather read the paper and drink coffee than teach his students anything. 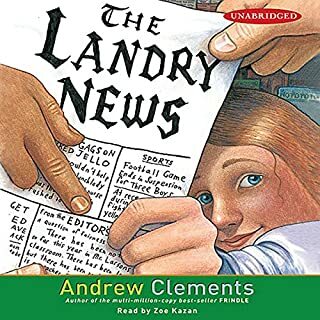 So Cara decides to give Mr. Larson something else to read -- her own newspaper, The Landry News. It isn't that Abby Carson can't do her schoolwork, it's just that she doesn't like doing it. And that means she's pretty much failing sixth grade. When a warning letter is sent home, Abby realizes that all her slacking off could cause her to be held back -- for real! Unless she wants to repeat the sixth grade, she'll have to meet some specific conditions, including taking on an extra-credit project: find a pen pal in a foreign country. Simple enough (even for a girl who hates homework). Twelve-year-old Natalie Nelson has written a powerful school story. It's a short novel called "The Cheater," and her best friend Zoe is certain it should be published. All Natalie has to do is give the manuscript to her mom, an editor at a big publishing house. However, Natalie doesn't want any favors from her mom. Still, Zoe won't drop the idea. Excellent family book to take along for the ride. Grace and Ellie have been best friends since second grade. Ellie's always right in the center of everything - and Grace is usually happy to be Ellie's sidekick. But this time, it's Grace who suddenly has everyone's attention when she accidentally starts a new fad at school. It's a fad that has first her class, then her grade, and then the entire school collecting and trading and even fighting over...buttons? A fad that might also get her in major trouble and could even be the end of Grace and Ellie's friendship. Because Ellie's not used to being one-upped by anybody. Sixth grader Alec can't put a good book down. So when Principal Vance lays down the law - pay attention in class, or else - Alec takes action. He can't lose all his reading time, so he starts a club. A club he intends to be the only member of. After all, reading isn't a team sport, and no one would want to join something called the Losers Club, right? But as more and more kids find their way to Alec's club - including his ex-friend turned bully and the girl Alec is maybe starting to like - Alec notices something. Ted Hammond loves a good mystery, and in the spring of his fifth-grade year, he's working on a big one. How can his school in the little town of Plattsford stay open next year if there are going to be only five students? Out here on the Great Plains, in western Nebraska, everyone understands that if you lose the school, you lose the town. Alton Barnes loves maps. He's loved them ever since he was little, and not just for the geography. Because maps contain more information than just locations, and that's why he likes to draw maps as well as read them. Regular "point A to point B" ones, sure, but also maps that explain a whole lot more - like what he really thinks about his friends. And teachers. Even the principal. So when Alton's maps are stolen from his locker, there's serious trouble on the horizon - and he'll need some mad cartographic skills to escape it. With wit and scrupulous accuracy, Jean Fritz introduces the viewer to the delegates at the 1787 summer convention in Philadelphia. Benjamin Franklin, George Washington, James Madison, and many others representing the thirteen states gathered there to draft a plan that would unify these states while preserving their sovereignty. The Bastable children decide to help their father by seeking their fortune in amazing and amusing ways. Jerry, Jimmy, and Kathleen can’t go home for their school holiday because their cousin is sick with measles there. Instead, they stay at Kathleen’s school with the French teacher. One morning, they set out to find adventure. Instead, they find an enchanted place - and magic, too! Walking through a nearby forest, they discover an enormous mansion, where a girl lies asleep in the garden. Although she pretends to be an enchanted princess, she is Mabel, the housekeeper’s niece. But she has a ring that really is magical. It can make the wearer invisible and grant wishes. For Hart Evans, being the most popular fifth grader has its advantages: kids look up to him and teachers let him get away with everything. But during one choir practice, Hart zones out too far, accidentally flinging a rubber band at his teacher. Mr. Meinert realizes that if Hart is ever going to discover his musical potential, his punishment must march to a different drummer. Jordan Johnston is average. Not short, not tall. Not plump, not slim. Not blond, not brunette. Not gifted, not flunking out. Even her shoe size is average. She’s ordinary for her school, for her town, for even the whole wide world, it seems. But everyone else? They’re remarkable. She sees evidence everywhere - on TV, in movies and magazines, and even in the email blasts that fill her inbox. Tremendously talented. Stunningly beautiful. Wildly gifted. And some of them are practically her age! Jordan feels doomed to a life of wallowing in the vast, soggy middle. So she makes a goal: By the end of the year, she will discover her great talent. "Nope, that little feller don't look like he'll amount to much." That's what almost everyone said about Little Bub. But young Joel Goss knew that Little Bub was a special colt, even though he was a runt. When schoolteacher Justin Morgan asked Joel to gentle the colt, Joel was thrilled. Little Bub proved that size and breed weren't everything. Soon word spread throughout the entire Northeast that this spirited colt could pull heavier loads than a pair of oxen and run faster than thoroughbreds. The Grayson twins are moving to a new town. Again. Although it's a drag to be constantly mistaken for each other, in truth, during those first days at a new school, there's nothing better than having a twin brother there with you. But on day one of sixth grade, Ray stays home sick, and Jay is on his own. No big deal. It's a pretty nice school; good kids, too. But Jay quickly discovers a major mistake: No one seems to know a thing about his brother. Ray's not on the attendance lists, doesn't have a locker, doesn't even have a student folder. Jay almost tells the school - almost - but then decides that this lost information could be very...useful. And fun. As Ray and Jay exploit a clerical oversight, they each find new views on friendship, honesty, what it means to be a twin - and what it means to be yourself. 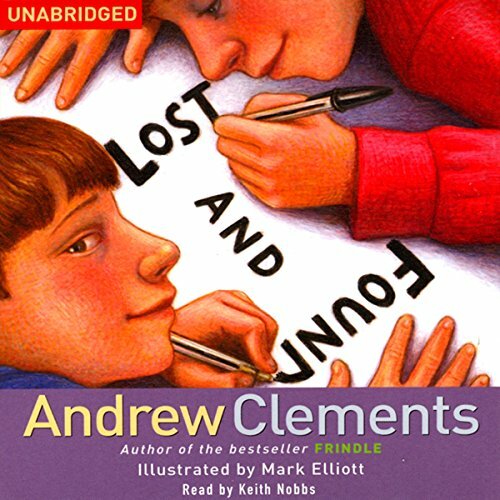 Entertaining, thought-provoking, and true-to-life, this clever novel is classic Andrew Clements times two: twins! 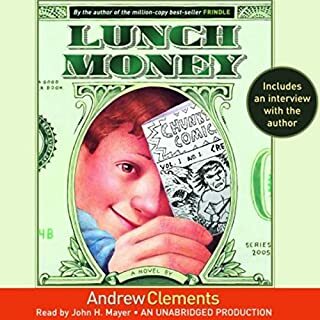 ©2008 Andrew Clements (P)2008 Simon and Schuster, Inc. The book is amazing I have listened to it over 3 times already! Great read that newer gets old. What made the experience of listening to Lost and Found the most enjoyable? Twins are so different. I had not thought of being a twin in this fashion so the topic was quite new to me. Do most twins feel like they want to be their own person and it is annoying when everyone calls them by their sibling's name? Who knows! I found the book funny, silly, enjoyable, and short but captivating. What was one of the most memorable moments of Lost and Found? I giggled about the skinned knee and the chicken wings. Yes, but I was able to listen in a relatively short period of time. It was fun. Kids books are quite interesting. Their perspective is so different from the 9-5 rut most adults live in. Short, full of laughs and great to share is how I sum up the kids section on Audible.